The real size of many not-for-profit ‘businesses’ and their sophistication is not often discussed. The growth and innovation in both retirement living and aged care is being created by these very serious concerns, with the balance sheets and sophisticated boards and management. 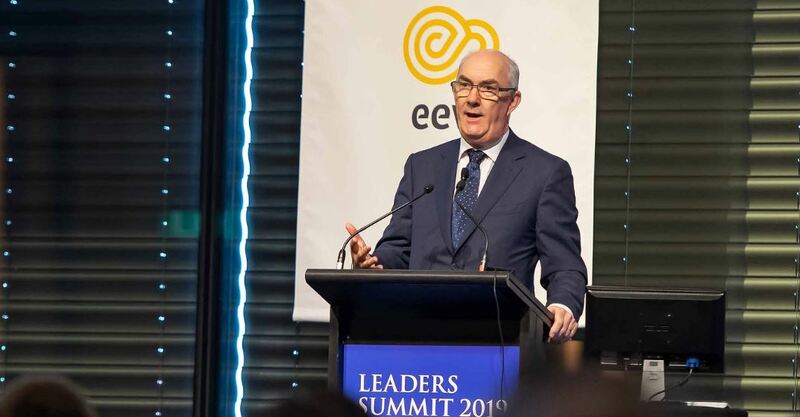 We asked Anglicare Sydney CEO, Grant Millard, to speak at our LEADERS SUMMIT four weeks ago. You can see the video HERE. He said they are a “for purpose” not-for-profit who “tends to fly under the radar”. Their parent is the Anglican Dioceses of Sydney; they limit their operation to the greater Sydney basin. With 22 villages and 2,900 residents, they are the largest village operator in the state and in the Top 10 nationally. On top of this they have 550 social and affordable housing dwellings, plus 22 residential aged care homes with 2,241 residents. Home care: 1,500 package clients plus 4,400 CHSP clients. This generated $361 million in revenue last financial year: total assets are valued at $1.8B. With this strength they have committed to $1.2B capital investment between now and 2023 – that is four years. All in Sydney. Over this period, they will grow their retirement living business by 33% to 3,100 dwellings and number of beds by 47% to 3,600. 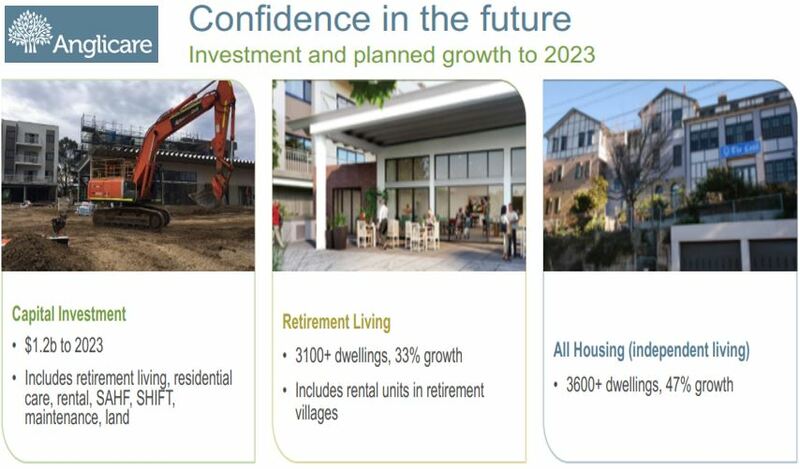 This represents confidence at a time of slower retirement village sales and aged care Royal Commissions. Grant’s qualifications to lead this ‘for purpose’ business include degrees in law and accounting and a partnership role in one of the major international accounting firms, followed by 13 years within Coca-Cola in Sydney, London and Athens, responsible for taxation, treasury, risk and insurance and business development. Next Article Peter Inge speaks up for Village Managers: “The core, the heart, the soul”.